Designed for directors, deans, faculty, and professionals with extensive experience in education abroad or international enrollment management. Rise above your day-to-day work and focus on a broader view of education abroad or international enrollment management at a NAFSA Strategic Retreat. Each retreat’s theme serves as a launching point to discuss improving student learning outcomes through education abroad or international enrollment management. Stay tuned for upcoming retreats. What Makes Education Abroad a High-Impact Practice? 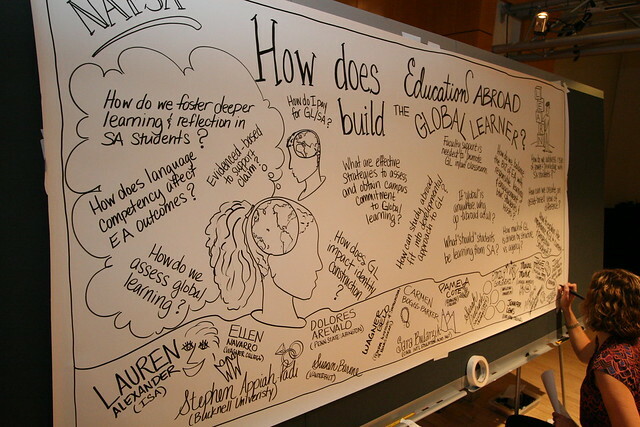 How Does Education Abroad Drive 21st Century Global Learning?